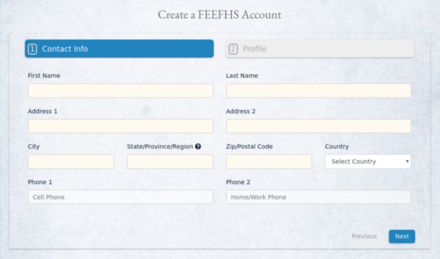 To register for the FEEFHS conference, you will need to create a FEEFHS registration account. This can be done prior to the opening of registration. 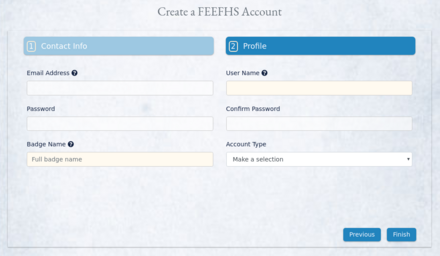 The link to create a FEEFHS account appears on both the home page and login page of the registration website. After filling out the new account form, a verification email will be immediately sent to your email address with a link to activate your new account. Once activated, you'll be able to register for conferences, view your registrations, update your account profile, change your password, and more. From the FEEFHS.org webiste, click the link near the top of the page, just under the navigation bar, or go to https://registration.feefhs.org. Find and click the link below which will be on the left hand side of the page. Enter your name, address, phone, etc. 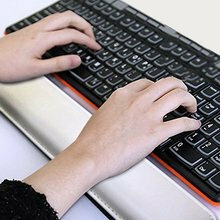 Note that U.S. and Canadian states and provinces will require a two-letter entry only; other countries may use more. If you can't get past this page when you press "next", that may be the reason why. Please enter at least one valid phone number, in case we need to reach you regarding your registration. Next page: Please ensure that your email address is correct, and enter an optional username. Enter your badge name as you would like it to be printed, and provide a secure password. Lastly, choose an account type which would normally be Attendee. Click on "Finish". 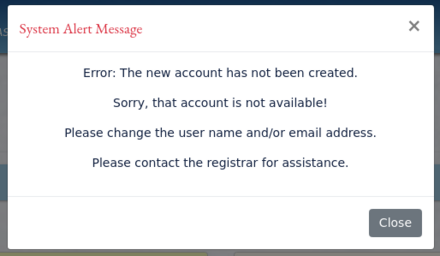 If the email or user name you entered has been taken, you will see this error message. If that occurs, just close it out, press Previous, and update those credentials and try again. Once you have completed the new account form, you will receive this message and an email will be sent to you to verify your email address. 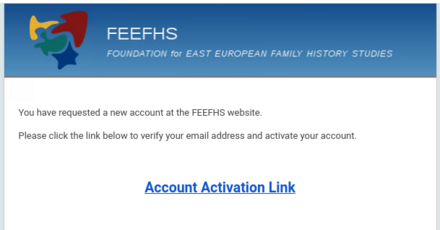 The subject of the email will be, FEEFHS - new account. If it doesn't appear in you inbox within 5 minutes, please check your junk mail folder and add no-reply@feefhs.org to your safe senders list to be sure you receive FEEFHS email safely. Just click on the account activation link. It will be good for 2-3 hours before it expires. You have now created and activated your new FEEFHS account. Please take a moment to log in, browse around, and register for the conference.